Viezu submits its tuning for full VCA type one emission testing, the first and only tuning provider to do so. Responsible tuning which helps fleets reduce both their fuel bills and their impact on the environment has been at the core of Viezu?s business for many years, as demonstrated by the launch of our BlueOptimize tuning back in 2012. We recognise that although laboratory-based testing regimes do have a number of limitations, they do, nonetheless, provide consumers with a standardised method of comparing one vehicle with another. Moving forward, one of the key challenges for both the motor industry and the Government is to agree a testing procedure which allows fleets and consumers to understand how their vehicle is likely to perform throughout its life, rather than as a brand new vehicle in an abstract test. Our own extensive research and development programmes have found that real world or extended dynamic testing frequently yields different results from manufacturers published figures. However, given the unpredictable nature and high degree of variability that comes from real world testing due to factors such as traffic flows, weather conditions or driving style, these results are perhaps not unsurprising and underline the scale of the challenge ahead in developing new testing procedures. https://www.viezu.com/research-and-development The limitations of the official OEM figures coupled with adaptive vehicle technologies which learn how the vehicle is driven and adjust themselves automatically means that when it comes to the issue of remapping and emissions, fleets should focus on how their vehicles perform in the real world, rather than working from potentially unachievable manufacturer data. At its most basic level, this means that in practice any modification made through remapping should ensure that the vehicle still passes its MOT test. However, at Viezu we adopt a much more stringent and responsible attitude to tuning which is only possible as a result of our bespoke approach to each project which takes into consideration the unique, individual circumstances of the vehicle and user. Our investment in advanced in-house dynamic testing capabilities allows us to test vehicles fully to the USA EPA levels, giving a more thorough emissions analysis including NOx testing. The final bespoke engine remap developed by our team of in-house software engineers is then designed to not only improve vehicle performance and reduce fuel consumption, but can be done so with the confidence that vehicle's revised emissions levels have only a negligible impact. Because of the lowered fuel consumption, any marginal increase in emissions is practically off-set by the lower volume of fuel being consumed, resulting in an overall positive impact on emissions reduction. Viezu's products are independently tested and used throughout the world, including the USA which operates to the highest emission standards, for good reason. For example, the latest round of independent emissions testing currently being carried out on our product carried at an independent VCA approved test facility has confirmed that emission reduction and specifically NOx reduction is possible after tuning. 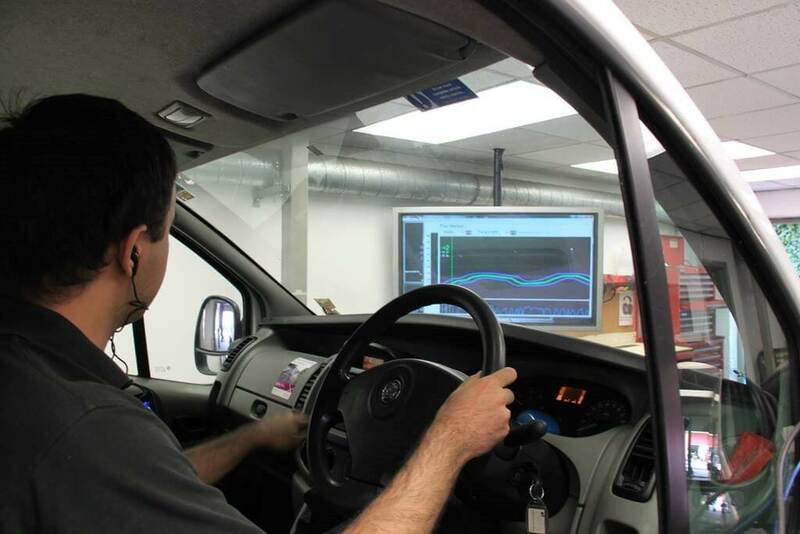 Although Viezu already undertakes its own in-house test and measurement functions for fuel metering and emissions, we wanted to demonstrate the quality of our tuning through an independent VCA Approved facility to ensure our customers have peace of mind when choosing our products and services. For the Technical stuff: The test vehicle was a Ford Transit. It was subjected to mass emissions testing at an approved VCA facility and put through type one approval testing for emissions. The vehicle was tested in a baseline condition and again after a mileage accumulation period consisting of base fuel plus Viezu Technologies Tuning via the V-Box Module. The testing took place on a UKAS calibrated chassis dynamometer. All assessed testing was performed over the The New European Driving Cycle (NEDC) using reference fuel of the same batch. this is the best and most accurate way to test emissions, as static unloaded emission testing really does not show true emission results or real world figures. Our ethical approach to remapping is fundamental to all of our work and it is all fully transparent and open to independent testing and verification. However, there clearly is an opportunity for less principled or technically competent operators to exploit the current system, either knowingly or unwittingly increasing emissions levels.